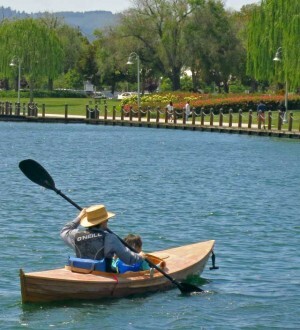 Best fun things to do and places to go in Foster City – by locals. Here’s a detailed index and some pictures. You’ll be surprised at the variety and quality in this growing collection. We’ll help you quickly find the best activities, destinations and events for those in the know. The Foster City Lagoon is like being in a fabulous recreational resort; weather, scenery and outdoor activities are world class. It is also one of the very safest cities in the Bay Area. Access is outstanding too, less than a half hour from most anywhere in the Bay Area. You owe it to yourself to check this local secret out. Several major and minor events are held here as well … a few examples are the best fireworks display on the Peninsula, the Polynesian Festival, and summer concerts. Check our special events calendar for details. Swimming, paddle boards, kayaks, electric boating, water skiing, and even outrigger canoe races are some popular water activities which can be easily found if you know when and where to look. Miles of trails for hiking, biking and skating are in and around the city. The most important is a popular segment of the San Francisco Bay Trail. Central Lake has a nice boardwalk and is a good place to start when walking your dog to the fenced in dog park. Foster City Recreation Center headquarters many different classes as does the new Peninsula Jewish Center just across the street. The City’s well maintained twenty one parks provide a wide variety of sporting facilities including plenty of tennis courts, soccer fields and basketball courts. E.g., Sea Cloud Park has 6 baseball diamonds for Little League teams. There are even bocce ball courts, swimming beaches and a nine hole golf course & driving range. Though not immediately obvious, there are plenty of restaurants in and around Foster City. These include popular Asian restaurants and others that even serious gourmets will enjoy. Sorry, but you won’t find many happening bars in town though one restaurant has become a very popular hookah hang out. There are a couple of nice coffee shops nearby and a solid contingent of fast food and snack food restaurants. 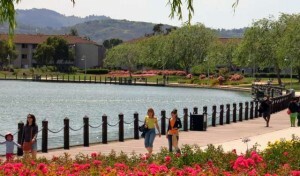 As mentioned Foster City’s 21 parks, and especially the lagoon, are well worth visiting. They are beautifully maintained, safe, and not overcrowded. Several even have nice swimming beaches. Foster City Recreation Center is quite active with many exercise classes, dances, Seniors activities, and a separate VIBE teen center with a skateboard park open to the public. Excellent private recreational vendors can be found around the city. E.g., California Windsurfing has some of the best beginning windsurfing classes in the world and Gold Medal Martial Arts run by an Olympic Gold Medalist are two examples. Hillbarn Theater and PJCC’s new fitness center are also excellent. There are also plenty of shopping centers and restaurants if you know where to look. There are usually several interesting events going on in Foster City, especially during the summer. Check our best events list and calendar for details. These include big festivals, small dances and concerts, and Hillbarn Theatre plays and musicals. One good way to find what you are looking for is to check out our several different maps of good Foster City destinations. Also see nearby things to do, many of which are definitely world class. Most are surprisingly close time-wise (e.g., within 30-60 minutes) given Foster City’s great access to the entire Bay area including San Francisco, Palo Alto, Half Moon and East Bay. We hope you enjoy looking around the site for the best recreation in Foster City. Even local insiders should find it helpful for keeping up to date on nifty things to do or learning more about a little known gem.